CORB LUND TOUR DATES ANNOUNCED! 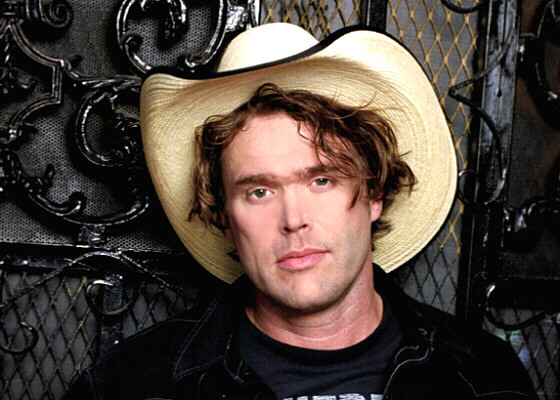 EDMONTON – This November, award-winning singer Corb Lund kicks of a coast-to-coast Canadian tour in Halifax. His most recent release on New West Records – Cabin Fever – was Lund’s highest Canadian Billboard top 200 debut, hitting #1 in its first week. Lund is currently on a four week American tour following dates launching his record in Australia. The Juno-award winner and seven time Roots Artist of the Year winner at the Canadian Country Music Awards delighted audiences at the Americana Music Awards & Conference in Nashville last week. In front of this packed and boisterous audience, Lund brought up songwriter Hayes Carll for a Texas/Alberta “Bible on the Dash” duet. A CMT special featuring Hayes Carll and Corb Lund was also filmed. Goth girls to survivalists, bovines to bibles, antique pistols to vintage motorcycles: Alberta-born honky-tonker Corb Lund’s songcraft covers it all. Cabin Fever – Corb Lund’s enthralling sixth record – had its worldwide release on New West Records on August 14, 2012. This follows on the boot heels of Corb’s 2009 New West Records debut, the critically acclaimed Losin’ Lately Gambler. The JUNO Award-winner and seven-time Roots Artist of the Year winner at the Canadian Country Music Awards wrote most of the twelve track album whilst hunkered down in a remote cabin an hour outside Edmonton, inspired by crude life events – a broken relationship and the death of his uncle. Backed by his longtime band, The Hurtin’ Albertans (guitarist/multi-instrumentalist Grant Siemens, upright bassist Kurt Ciesla, and drummer Brady Valgardson), the band recorded loose and live, with almost no overdubs. Just like Corb’s subjects run the gamut, so do the sonics on the long-player, ranging from rockabilly to Western swing, cowboy balladry to country-rock. And, of course, the occasional yodel… It’s this sort of versatility that brings out a raft of audiences to his shows; from field and urban sidewalk, alike.